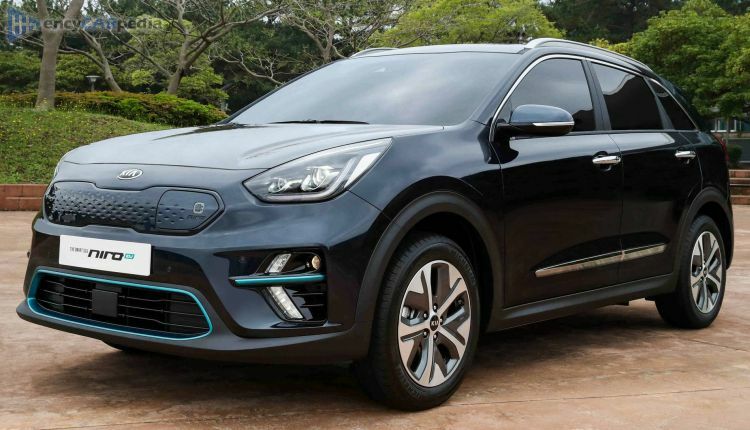 This Kia e-Niro started being produced in 2019. It is part of the DE generation Niro. It's a front-wheel drive front-engined compact SUV with 5 doors & 5 seats. With 201 hp, the electric motor accelerates this e-Niro to 62 mph in 7.5 seconds and on to a maximum speed of 104 mph. Having a kerb weight of 1812 kg, it achieves 22.7 kWh/100 miles (178.3 MPGe) on average and can travel 282 miles before requiring a re-charge of its 64kWh battery. This car also has a which acts purely as a range extender. It comes with a Direct Drive automatic gearbox. Luggage space is 451 litres, but can be expanded to 1405 litres for larger loads. Last updated on 18th January, 2019.